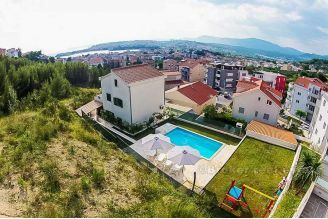 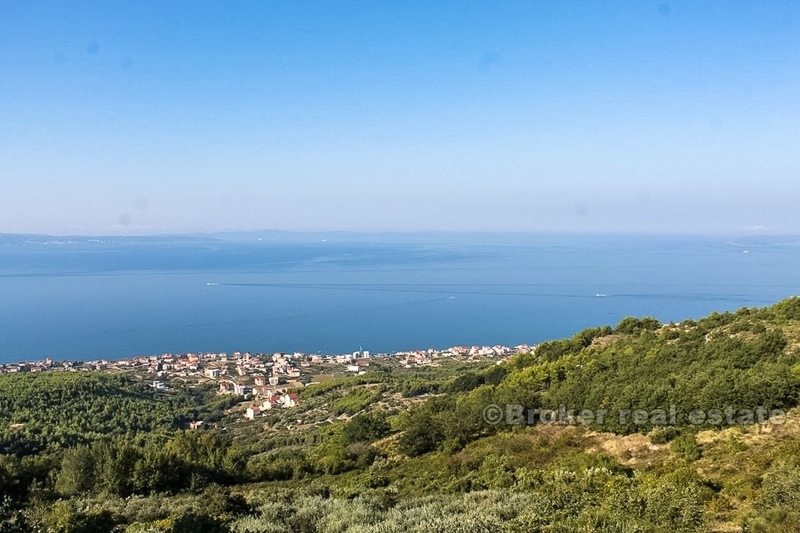 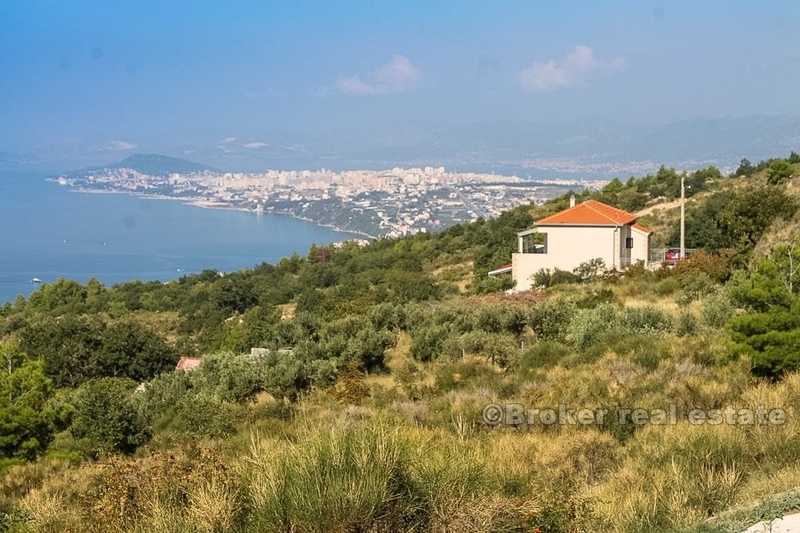 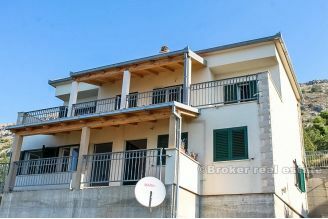 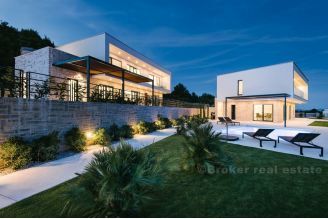 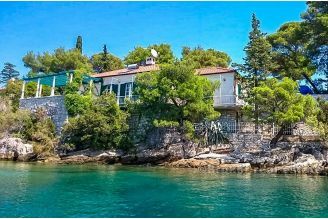 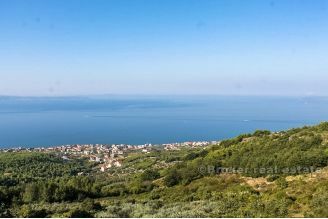 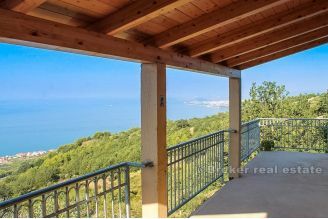 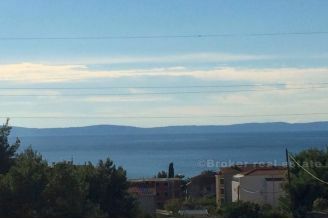 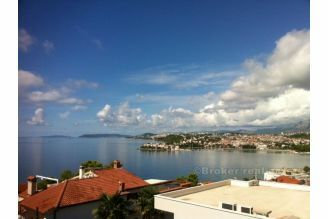 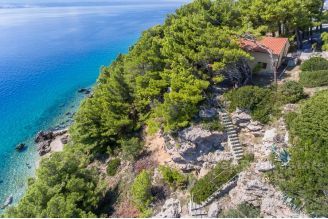 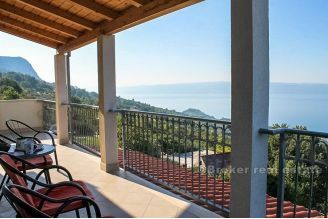 Detached house for sale, located in Gornja Podstrana, in a quiet environment, with an amazing view of the sea, islands and the city of Split. The house is located on a plot of 610 m2, and the residential area of ​​230 m2 is divided into two floors, ie three separate apartments, a tavern in a row building, and an additional unfinished space of about 60 m2 that can be converted into a separate apartment or a room for some other purpose, like sauna, gym, indoor pool, etc. 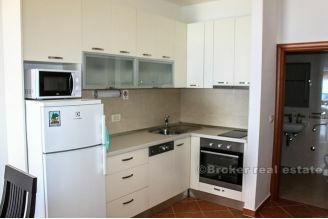 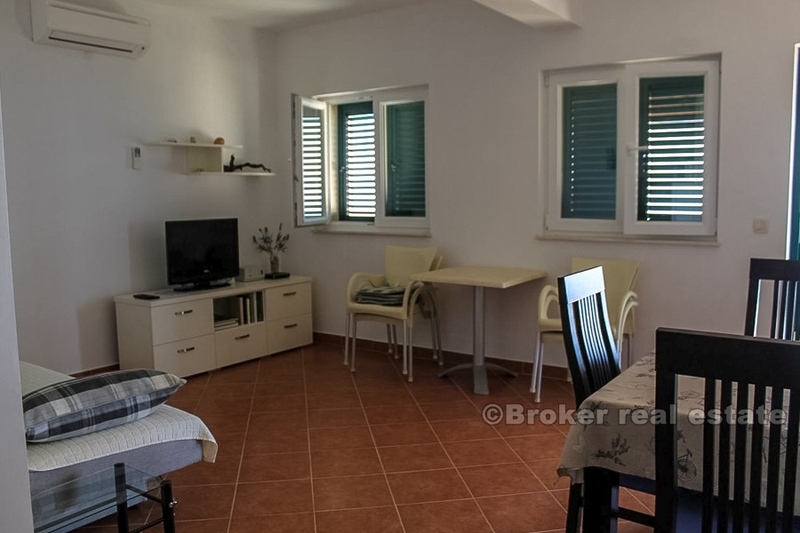 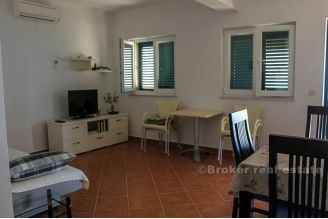 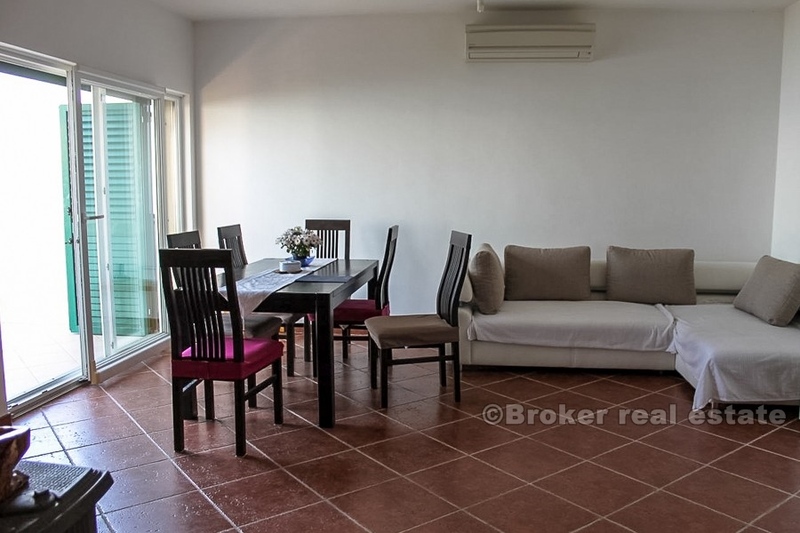 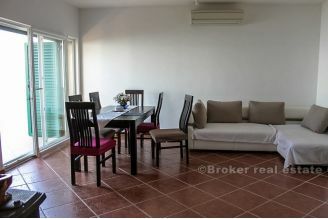 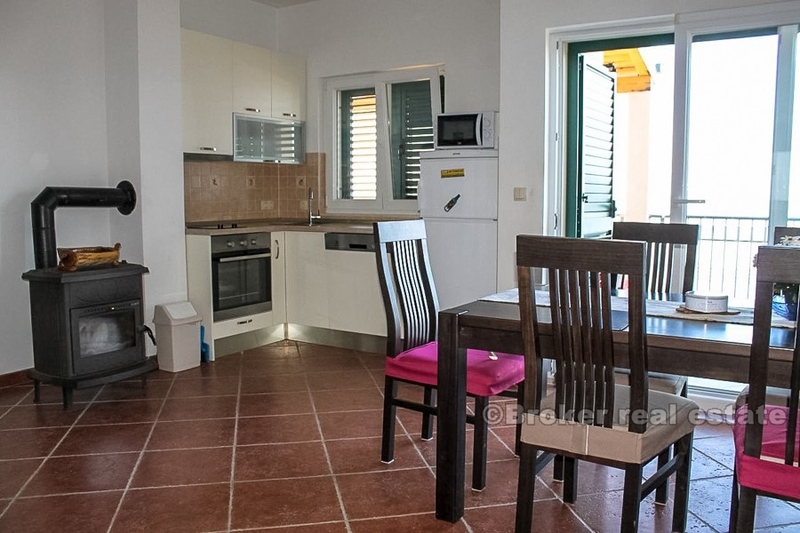 On the upper floor there is a two bedroom apartment of about 80 m2 that the owners use privately while on the lower floor there are two spacious one bedroom apartments of approx 40 m2 that are rented during summer. The basement floor is enclosed by a sloping concrete wall, and there are 60 m2 inside which the future owners will edit according to their wishes, while on the side of the house there is a barbecue, an outside terrace, and an unfinished tavern above which is located parking for several vehicles, while in front of the house there is a cultivated garden with olive trees. 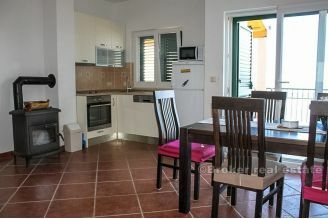 All three apartments are fully furnished and equipped, both floors have a spacious balcony with fantastic view of the sea and the islands. The house is located in a quiet neighborhood with only a few neighbors, has a power outlet, while the water is used by two large water tanks, located next to the tavern, and two black pits are used for waste water. 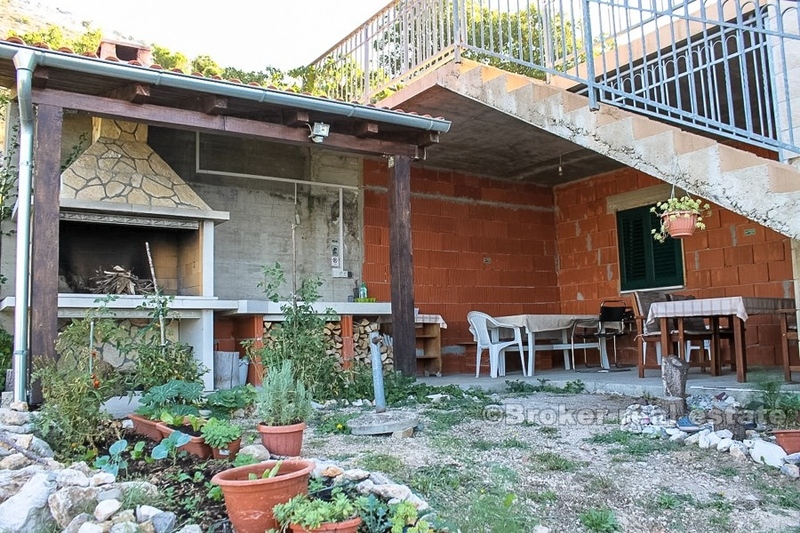 Very interesting property with great tourist potential considering the position that allows total relaxation and rest, only 3 km from the beach. 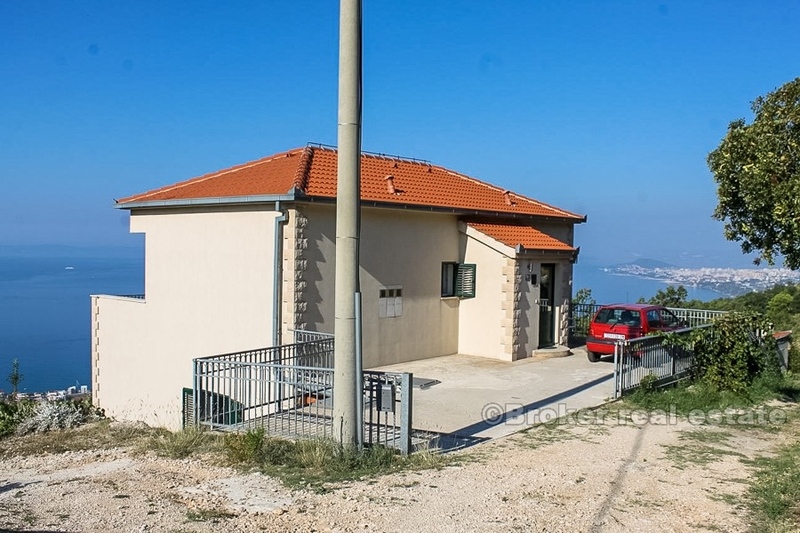 The house was built according to the building permit in 2007 and has been phased in until 2010.